All Pieces are Made in the USA with Fine Quality Gemstones and GHVS1 Diamonds. Each Piece has a Profound Emphasis to Details. Purchasing a Somos Creation is Investing in a Work of Art to be Cherished for Generations. 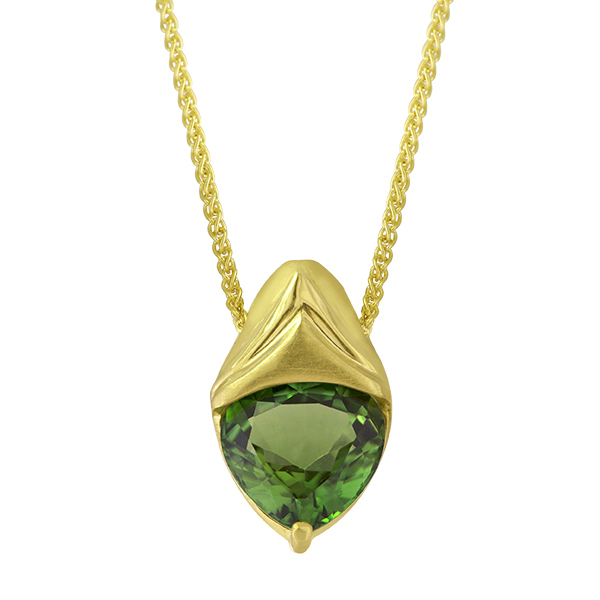 18K Yellow Pendant "One of a Kind" Chrome Tourmaline 2.10 Carat Weight 18K Wheat Chain 18 "